A board-eligible spine surgeon with a specialty in minimally invasive techniques	to correct spine deformities and disorders. 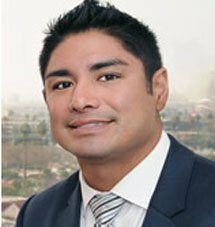 He completed a fellowship	in spine surgery at the San Diego Center for Spinal Disorders, where he	participated in clinical research to advance minimally invasive spine	procedures. Prior to his fellowship, Dr. Nomoto completed medical school	at Stanford University, and then did his residency at Harbor UCLA Medical Center. He is also a co-author of a spine-surgery textbook chapter on minimally	invasive surgical techniques. He is a member of the North American Spine	Society, the American Academy of Orthopædic Surgeons, and the Society	of Lateral Access Surgery, as well as a candidate member of the Scoliosis	Research Society.